CLTP2’s movie has been uproaded on youtube. 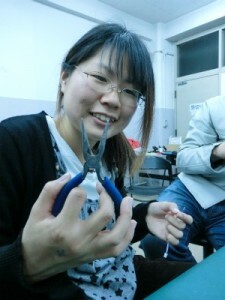 Today , there was a debrief of balloon & rocket test. 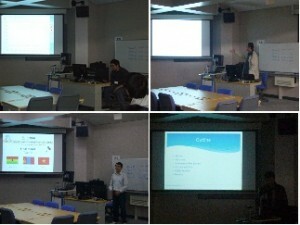 Each team presented the result of test. and today, there was a big news! because Team A’s cansat got stuck with tree top yesterday rocket test. We could not recovery it. so, we try to recovery it today. 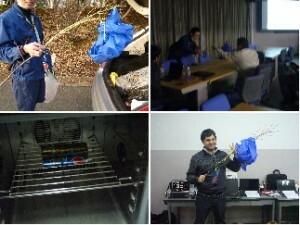 As a result of Prof.Miyazaki and some Nihon Univercity student’s effort,We recovery team A’s cansat. Welcome back , Team A’s cansat. 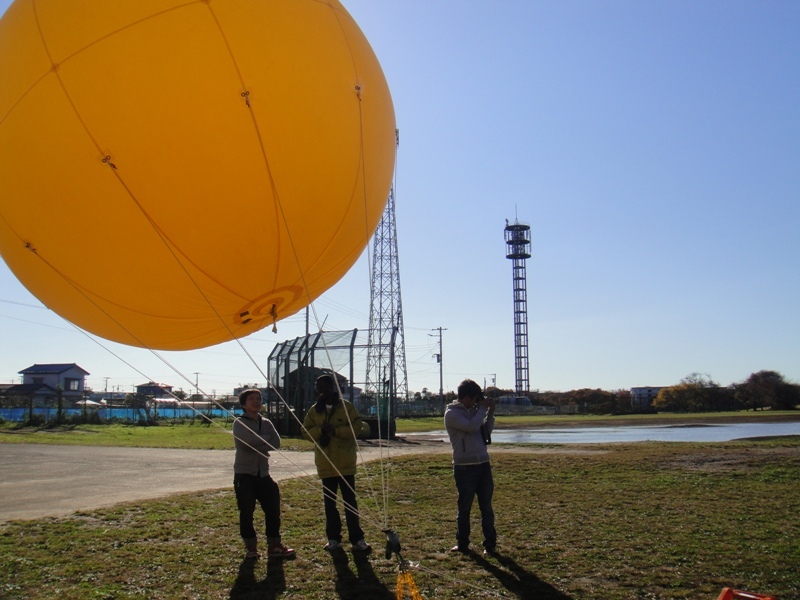 Today, we conduct the balloon experiments and launch test. 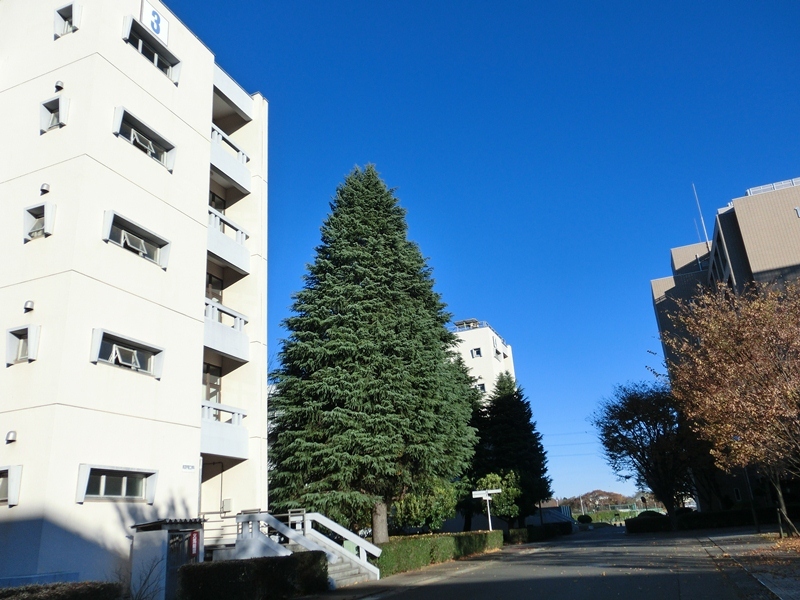 We have good weather today, there are cloud, but not much wind. 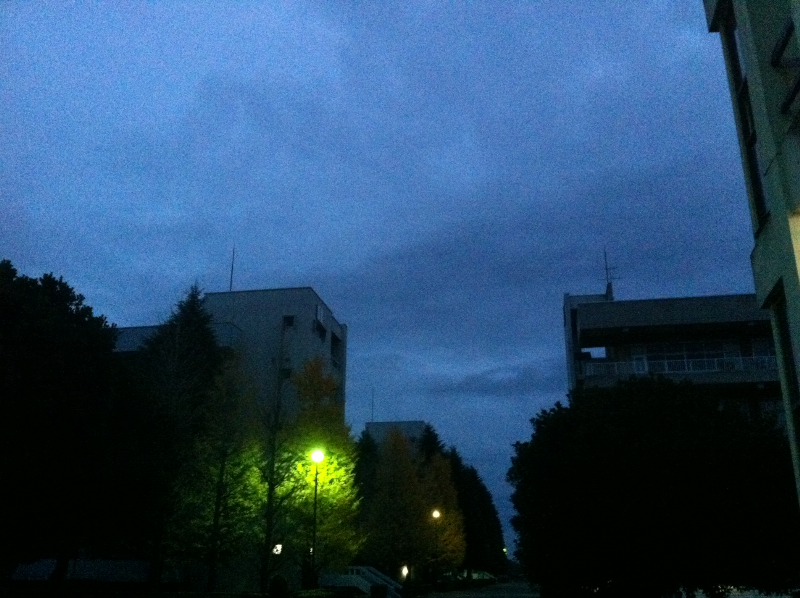 Earlky morning on Dec. 6 at Nihon Univ. The first balloon will be launched at 8AM. By the way, it’s too cold!! It is the day before the balloon and launch experiments, but now already we have started preparations for the experiments. 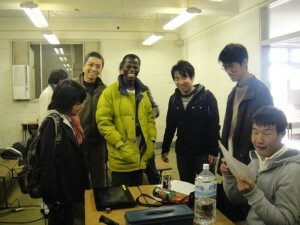 Fortunately, Mr. Kosada came to Nihon Univ. to prepare for rocket. (We forgot to take the picture, I’m sorry.) And Nihon Univ. students are preparing for cars, gas for the balloon,equipments, and announcement for staffs. The day is coming. I hope it will be perfect day for everyone. And then, we decided that we are going to conduct the balloon experiment again before launch experiment on Dec.6 in the early morning. The weather will be of not good condition on the day, we guess. We play for a little miracle to happen. 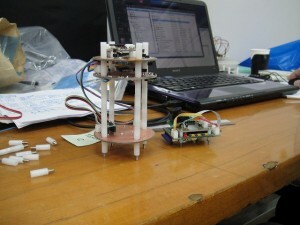 We just need the weather of good condition for only balloon experiment and launch for Cansat! Everybody have worked very hard for the day, all participants, UNISEC people, Nihon Univ. students and CLTP2 friends. Let’s pray for a little good weather. It’s a perfect day for balloon test! Today, we conduct balloon test for CLTP2. 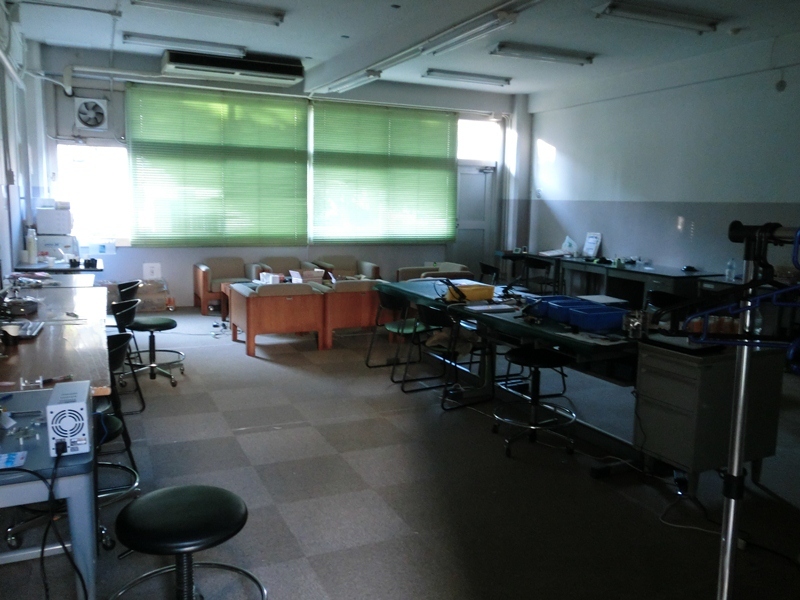 The room514 is now empty, everybody have been to the Futawa experiment field. 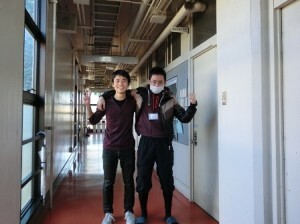 I and Mr. Okumiya stay here because we have another job. We are very sorry that we can’t go there today. But we’ll surely join you on Dec.6, launch for Cansats! So let’s look forward to flash reports from experiment field. Today is the last day for the development of FM. Everyone does his best to make the Cansat. 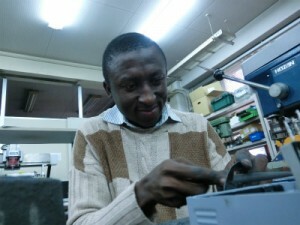 Almost groups conducted the operation testing of the PCB of FM in the morning. Everyone was shocked by the raw egg. We told them how to eat SUKIYAKI with the raw egg. They fabricated the structure of the Cansat in the afternoon. 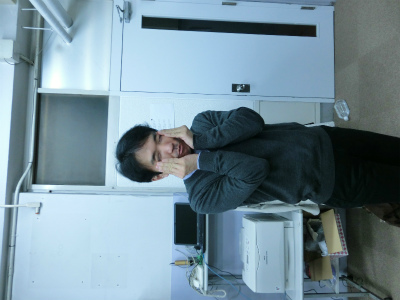 The voice of Team B member “This hole is too small!” echoed around the room. They seemed very pleasant. Team D is checking the PCB of FM now. 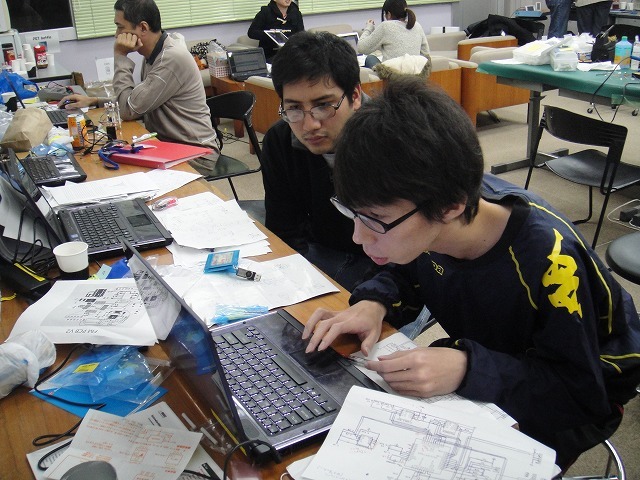 We believe they will complete their Cansat tonight! 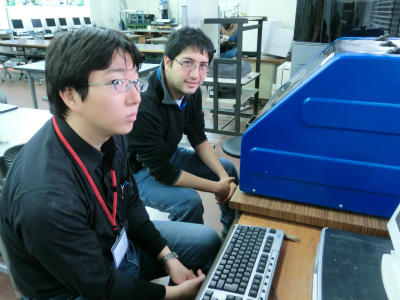 Today is the 5th days of developping FM. Today, drilling machine is used so much by everyone. Of course,rest time is also important!! 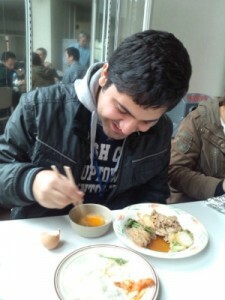 They seem to like Japanese snack very much! Some teams almost finish making FM. 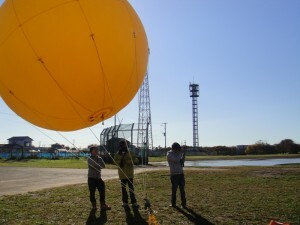 The day after tomorrow, the balloon test is held. I hope they can finish making their FM by tomorrow. 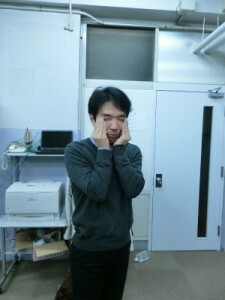 Today is 18th days of CLTP . 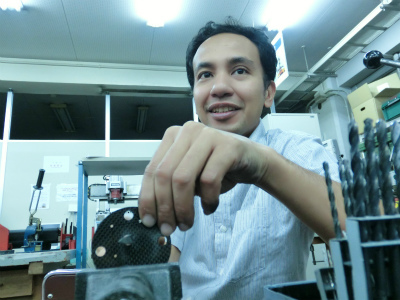 We continue to develop Cansat FM. Fortunately,　Mr. Masuda, who is the best engineer as far as we can see, helped us today. He always helps us to solve any problems, and he also helps undergraduates when they are in trouble in electronic engineering. We sincerely appreciate his help. 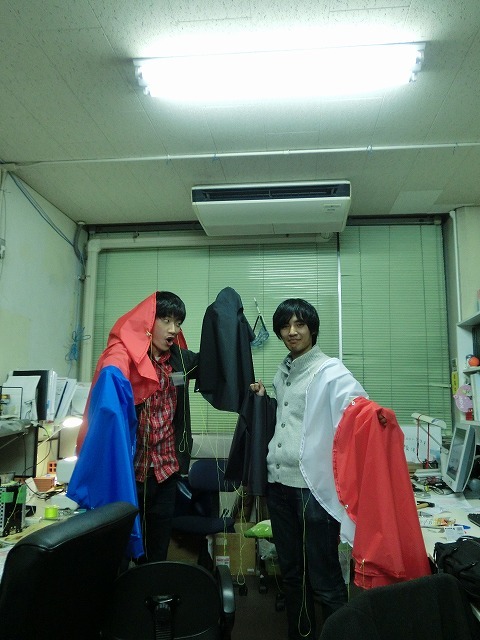 Besides Mr. Nakajima and Mr. Kanda made 10 parachutes today ! We hope to finish FM development by tomorrow !! Today is the 17th day of CLTP2. Yesterday, Ms. Inoue and Mr. Noguchi made the board of FM all the night. Today, Ms. Inoue and Mr. Ainoura are also making it in this night. 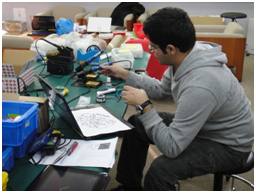 Today, we continue to develop Cansat FM. Team B made some mistakes at circuit design. Therefore, they fixed it and made the board again. We should be careful about circuit design and we hope not to make that mistakes. 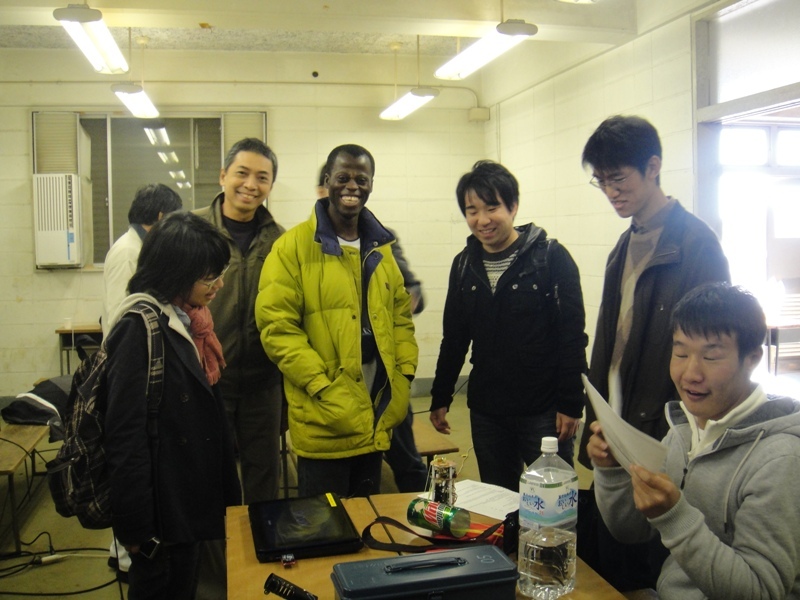 In the afternoon, some team could start to conduct the structure. 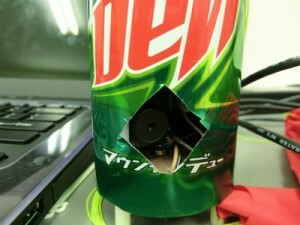 We have only three days when we can develop Cansat. We hope to finish milling the board and structure by tomorrow. 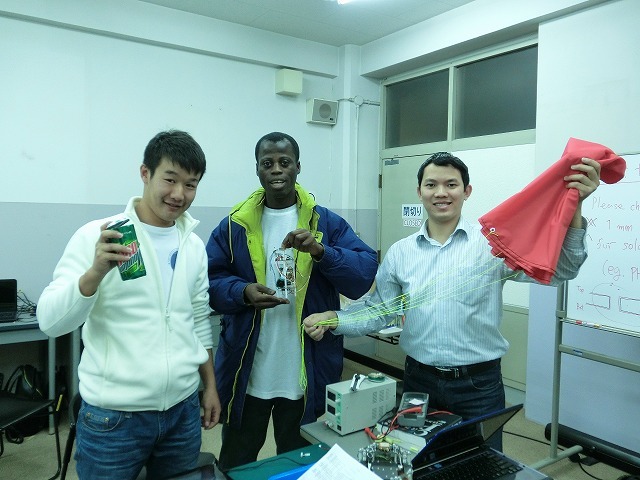 Let’s complete Cansat development by balloon testing! !